There’s been a devastating day here at Café Reality recently. I broke my “Mr Cheerful Mug”. End of an era. But it has prompted me to write this blog. 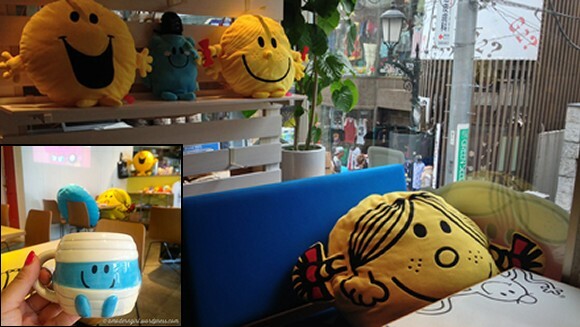 Upon looking into if there is a Mr Men Café, the only one that I could come across was the temporary Mr Men & Little Miss theme that was set up last year at the Sunday Jam Pancake Café in Tokyo. I feel like London is missing a trick! Based on the fantastic literature that was written by the legend Roger Hargreaves, the pancake café made use of pillows, pictures and ceramic dishes of the characters themselves to set the scene. It must have been like having a coffee break in the middle of Dillydale! Genuinely a dream come true. In addition to the interior being decorated to the Mr Men theme, the menu was set up to suit the same scene. Serving dishes such as Mr Bump Surf Pancakes and Mr Strong Fruit Pancakes, all with whipped cream, it must have been enough for anyone to feel like Mr Greedy by the end of the visit! In addition to the fun had with the dishes and the menu, Sunday Jam also offered a free Mr Happy balloon and a mug (I could do with one of those now). Customers must have felt like they were Mr or Little Miss Birthday! It was also possible for gifts to have been purchased. Amongst these there were key rings, books, t-shirts and bags. I would have spent a fortune, given the chance! Keeping the experience as entertaining as possible, there were projection screens showing episodes of the beloved Children’s (but very much watched by adults, let’s not pretend) programme with Japanese subtitles. You would have needed the subtitles to make sure that the customer would know what Little Miss Chatterbox was talking about, I am sure. I am not too sure where the childhood friends bit come from though, I talk to Mr Grumpy, the teddy that my little sister bought me for my birthday, more than my own friends. Don’t judge me, we have a lot in common! I am gutted that this was only a temporary theme that ended in September 2014. Although it would have been virtually impossible to ever go visit, it would definitely have made my dream list. I definitely think that there is room for a similar café to be set up here in the UK. 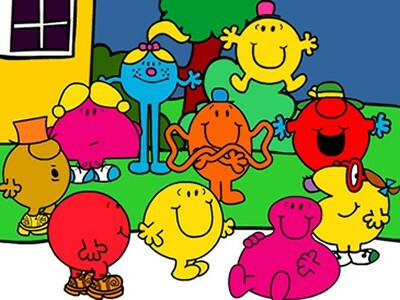 But who knows, with the newest Mr Men book, Mr Men in London, having been published there might be one on the cards. Guess I will have to remain Mr Hopeful for now!